Former Vice-Chancellor, Dravidian University, A.P. Guest of honour Speech delivered at 11th FIRA conference at Visakhapatnam, 5 January 2019. The election campaigns in North India would have passed uneventful had Yogi Adityanadh not uttered at Alwar, Rajasthan during the last phase in November 20018, the impulsive feeling that Hanuman was only a Dalit forest dweller and servant of Raja Sri Ram. It was the inner feeling of the Dwija Hindus that most of the servant characters like Hanuman, Vali, Sugriv , Vibhishan, Ahalya, Guha, Jatayu and several others who were instrumental for the Ramas’ victory including the Kaliyug vanaras who demolished the Babri temple in Ayodhya as per L.K.Advaniji and Hindu Parivar were only inferior gods, goblins and demons. It is not only the inner feeling of devout dwija Hindus but even materialist historians like Kosambi in his ‘Introduction’ at foot notes depicted the low status of these gods and “the great influence of the Brahmin priesthood towards more humane observances”. (p52) This has remained incontestable truth for literate Hindus and others for generations. Interestingly, twenty first century has opened more venues of communications even without much learning to communicate through social media. The Dalit Hanuman barb caught the imagination of New Dalit leadership like Chandrasekhar Ajad to capture the Hanuman temples in UP and other places. In fact fresh space for social and cultural struggles has emerged to counter the so called Hindutva- Capitalist expansion, if the progressive Bhadralok do not thwart it with muddled interpretations. Not only the above incident, but also of several such feats during the modern period particularly after 1794 when William Jones had declared that Indians were their long lost kin helped both modernists and traditionalists to popularise Hinduism from two different camps. The term Hinduism itself appeared to be coined by Jones. On the other hand Hindutva as an ideology of the Dwija is centred on alien or Mediterranean/BMAC theology. It seems the present Hindutva forces get their forage from the writings and movements of the British who considered themselves as Aryan pedigrees. The writings of Lord Curzon , Waddel L.A and Colonel Olcott of theosophical society have provided the much needed intellectual support not only for the present campaigners but sufficiently influenced a section of the Indologists who believed, Hinduism was originated in Vedic culture. The crafty interpretation of Hindu as a geographical term and way of living is an afterthought cookie to satisfy some dissenters. It is time that one should reflect on this phenomenon that has been cultivated by a social class spread in to different camps with the same agenda. The Genetic DNA studies of Harvard Scholar Reich and others summarised in a book by Tony Jones have sufficiently established the fact about Aryan migration. This is now supported by hundreds of web pages on the net about White brotherhood or Aryan migrations justifying what the 19th century scholars like Muir, Muller etc have said. The soft and hard Hindutva promoted by the so called pseudo secularists and fake Hindus for the last few decades and pouring of Intermittent verbose by select few intellectuals did not change the agenda of the debate. The purpose of the moiety of the prize fighters appears to be to bring the warring groups under their control. 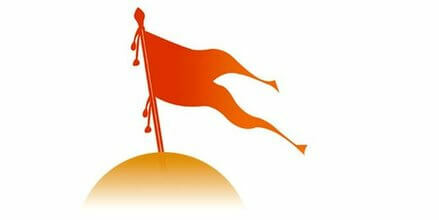 However, the critiques and applauders of Hindutva have hardly touched the real and crucial issue of the problem. Whether the idea of Hinduism or the content, beliefs, gods, rituals, philosophy and other paraphernalia are really native to India of the present or barrowed or imposed? What are the similarities and differences between the anthropomorphic gods of the Sumerians and Hindu pantheon based on which cudgels are fought? Why the Hindutva forces or Brahminical Hinduism hate the native Indians and their belief systems while consciously and slavishly following the alien gods? It is true that religion of whatever category is a way of life. It is not necessarily true in the case of Hindu or Buddhist, Christian or Islam or some other faith. All faiths believe in equality before god, share common values and respect certain traditions and rituals. But they may not help mark the difference between religions. Each religion has certain core values and features like a holy book, god or gods, rituals etc. It is true even in the case of non-belief systems or faith like Ideologies that are assumed to be infallible and inalienable by the followers. There are certain practices and relationships that are basic for the survival of a tradition without which its identity is lost. There could be groups or classes who are the adherents of the core values and they protect them with a belief to be in turn protected by them. That gives the power, strength, legitimacy and endurance. In this context, we may examine some of the unique characters and practices of Sumerians and Babylonians who had around 3000 gods. We have Zeus, Hades and Poseidon as Brahma, Vishnu and Maheswara trinity, Seven sisters like the sapta rishis, the Lion headed Meroitic god of Egypt like that of our Narasimha, King Ramasses of Hyksos of 1709 BC as of our lord Rama of Ikshvaku, the Hittite texts, BMAC-Andronova culture, Zoroastrian culture of Parsis and the Genetic debate etc have reconfirmed the broad migrations of Aryan tribes. Some of them entered the United India Including Pakistan, Afghanistan. Soviet Archaeologists like Viktor Sarianidi, B.G.Gafurov and several others have repudiated the opinion that Aryans lived in India already in 3rd millennium BC on the basis of Archaeological and linguistic research. Interestingly thousands of karyakartas spread in different parts of the World mostly in the English speaking countries (keeping aside the Religious restrictions not to cross oceans) are now working day in and day out to denounce the above findings and use abusive language to criticise scholars and historians who support scientific evidence. Interestingly all of them unless hide their identity come from same social class. They are interested in protecting the false identity of the ancestry of Aryan as Indian. It is Brahminical puritanism, the ideology of Hindutva. The pantheon of gods is different and they alone have properties and wealth. History as continuous dialogue with the past brings out new facts and significant contributions of human civilization at different points of time has endowed us with a new discourse on the Pre-Aryans. It is not only due to the excavations at Indus, Harappa, Kalibangan, Lothal and other places, but even the living cultures are seen as dichotomous when the so called non-puritans entered the portals of higher education and started questioning the stereotyping of Indian culture as unique. Though an attempt was made by Mahatma JotiRao Phuley to write the history of the native indigenous people and the narrative of alien Bhats occupying India at different points of time as dasavatara , no professional historian has ever paid attention to this literature. The Post-Gramsci – Foucault-Said academic project of subaltern writing of history did not cross the test of Bhadralok and remained a mess without much headway to throw light on the real subalterns. The failure of the project itself shows the deep roots of the divide. The so called Bahujan-Dalit scholarship to challenge the mainstream mostly the Marxian agenda remained a nonstarter. These developments have links with the present narratives of Hindutva and its triumphant suzerainty of India. Most of the critiques in the name of secularism appraise selected ideas like varna, cultural nationalism, myths, Puranic characters, Vedic liturgy, Muslim bashing, actions of sangh parivar etc all bundled in one term Hindutva. This seems to be problematic for an ordinary Hindu or even a non-Hindu Indian. The critiques assume that they are hitting the visible culprit without realising that they have a huge defence mechanism of twisting words, using coarse logic and people friendly manoeuvring and hidden agendas of mainstream political parties. It appears that the leaders or champions of secularism are naïve individuals with enthusiasm and anger to counter the unscientific arguments of the Hindutva brigades. They do not realise that the brigades have support base, open and veiled from the same platforms from where they encounter the so called fundamentalist. In some cases the literal downpour is fortuitous and in many a times not backed by concrete programme of action. Even today the well-intentioned political outfits of left and secular groups seem to have no clear and structured agenda to counter it. It is alleged that the moles in the political parties are inconspicuously related to the sangh parivar and therefore communication is much faster and reaction from adversary very slow ( In the Sabarimala controversy Kerala government found them in their Police force). The tentacles are too wide spreading in to the Western World. One significant incident of stalling the school syllabus of California State on Hinduism by the Vedic Foundation, Hindu Education Foundation as narrated by Harvard scholar M.Witzel, an internationally reputed scholar on Vedic Literature, Sanskrit and Hinduism, is really an eye opener to observe the power of the fundamentalists. The challengers of so called Hindu fundamentalism have not been able to develop a cohesive group, common agenda and content to counter them even after a century. On the other hand they have not been able to recognise and remember the contributions of great scholars like Rahul Sankrutyayan, M.N.Roy, D.P Chattopadhyay to name a few. Hinduism is equated with Brahminical or Vedic liturgy and pantheon is in fact not a true representation. Hinduism as projected either by the organised Hindu Parivar or broadly understood by common man is more than this. The Bahujans (understood as the majority of Hindus) do respect the Brahminical pantheon have however had their own ways of worship, ritual and native Indian goddesses, gods and goblins. This unique character has not been distinguished either by experts like Wendy Doniger and several of the critiques of Hindutva. Vedic literature or even Upanishad, Puranic and classical literature did not represent the Native Indians or the so called Bahujans consisting of Adivasis, Dalits and OBCs except by way of expletive expressions. Therefore, when the Secular critiques address the Hindus, the lower castes do not react as they think that they are also Hindus. This is not a post-independent India phenomenon. It has a long history of the colonial powers as collaborators of Brahminical hegemony as noted above helped the Hindutva forces to grow while disparaging the local religious practices, rituals and goblins as superstitions through the missionaries like Whitehead and colonial anthropologists. In fact the Oriental scholarship and its critiques including Edward Said and his followers have ever looked at the Native schools of thought other than Brahmincal or alien imports. One need not wonder at this as the Oriental thought relating to Palestine, Israel or Abrahamic faith and the parallel primordial Hindu approaches seem to be the same. If one is inclined to scrutinize the rituals of Brahminical Hindus as historical memory of their ancestral homes being repeated from BMAC or Meru region in Brahminical Hinduism, it would be abundantly clear. The Bahujans of India or the so called Non-Dwija castes were prohibited to listen, utter or practice Vedic or Brahminical mantras or rituals in the past. After reformers like Dayanand Saraswati , the Anglicans and Gandhiji and his followers, lower castes are given some ritual status and untouchables are officially allowed inside temples. But, the lower castes or the depressed classes (a nomenclature used before 1935 for several low castes) or Bahujans had had their own systems of thought, gods, goddesses, epistemology, and ceremonies etc as original Indian/Hindu belief bonds. They were marginalised and their culture was interpreted as barbarian and treated as Rakshas or demons, poundras, asuras etc. The Tantric practices in the rudimentary form in the Indus seals and developed as a form of sankhya being practiced even by Tiruvalluvar, Kabir, Veerabrahmendra swamy to name a few low caste players/practioners were never given any status in Brahminical Hinduism. In fact the predecessors of Mahavir and Buddha, the Ajivakas or shramanas were considered as inferior to Brahma, Maheswara and the Almighty Vishnu. In the later period, most of the belief systems and their cultural and knowledge goods were appropriated by the mainstream Brahminical systems of worship, rituals and thought. Thus, the prehistoric legacy of Bahujan Hinduism being more ancient, vibrant and inclusive compared to the narrow, Mediterranean based Brahminical Hinduism of recent period was made to demonstrate as original with the support of media and muscle. This has not been recognized by any of the critiques of Hinduism. There seem to be some confusion when the low castes or Bahujans were made to appeal as followers of Brahminical Hinduism in modern times. In fact, the British India Courts particularly in the South had full of litigations, each lower caste claiming a ritual status like the carpenter /smiths claiming ViswaBrahmin, Barbers claiming NaiBrahmin and so on. They had provided intelligent arguments and spiritual episteme of their own challenging sometimes the Brahminical supremacy. Actually it was a big crusade called Bhakti movement (pre-British) initiated mostly by the low castes or Non-Brahmins. They were supported by all progressive intellectuals including Gandhi, Ambedkar and social reformers in different parts of the country. Had it been continued without interruptions and appropriations, it would have turned the nation a secular polity. But, the vibrant Hindutva today gained control over Bahujans without giving status to their belief systems through co-option, patronage and funding. The left, secular and democratic activists are bereft of the dichotomy between Bahujan Hindus and Brahminical Hindutva by clubbing them together. This has alienated them from the ignorant victims and seems to have lost the plot. The non-Hindu forces have failed to project and popularise the native, original and materialistic traditions of the Non-Brahmin as superior if not equal and distinct in status. Further, the secularists lost steam under the tutelage of base super structure imagery claiming that these small issues will disappear once economic independence is gained. Is it true? * Former Vice-Chancellor, Dravidian University, A.P. Guest of honour Speech delivered at 11th FIRA conference at Visakhapatnam, 5 January 2019.